The Royal Society announces the winners of seventeen medals and awards today. The annual prizes recognise exceptional researchers who make outstanding contributions to science. Among the winners are Peter and Rosemary Grant, a husband and wife team who have spent nearly four decades studying finches on the Galapagos Islands, Sarah Cleaveland, the driving force into researching rabies elimination in the developing world and Jennifer Doudna for her work on the revolutionary gene-editing tool CRISPR. 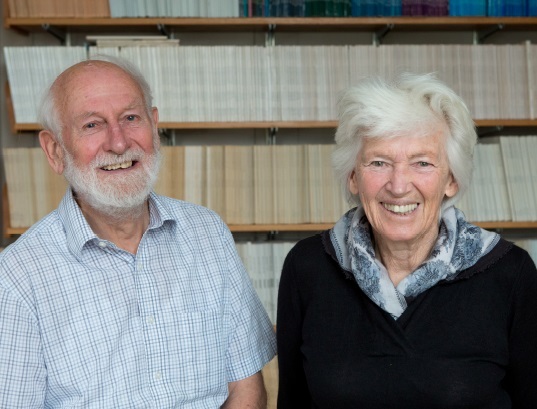 Peter and Rosemary Grant receive the Royal Medal for their research on the ecology and evolution of Darwin’s finches on the Galapagos Islands, demonstrating that natural selection occurs frequently and that evolution is rapid as a result. Also receiving the Royal Medal is Paul Corkum for his contributions to laser physics and the development of the field of attosecond science – the study of processes that occur on a time scale of an attosecond (a billion-billionths of a second). An attosecond is to one second as one second is to the age of the universe. Melvyn Greaves is awarded the third and final Royal Medal for his pioneering methods that distinguish different forms of leukaemia, allowing doctors to tailor treatment to each child – improving their chances of survival and reducing side effects. “I am honoured and very pleasantly surprised to receive this prestigious medal and join such a stellar list of previous recipients. Childhood leukaemia was once considered to be universally fatal but thanks to the tremendous research progress made over the past 40 years, treatment is largely successful. The Royal Medals are one of the Royal Society’s premier awards and are made on behalf of the Queen each year. Awarded annually since 1825, this year’s recipients of the Royal Medals join the ranks of Fred Sanger, Max Perutz and Francis Crick. The Hughes Medal is awarded to Peter Bruce for his work on energy storage devices such as rechargeable lithium batteries, which are widely used in portable consumer electronic devices and increasingly popular for military, electric vehicle and aerospace purposes. Matt Rosseinsky is awarded the Davy Medal for his advances in the design and discovery of functional materials. Atmospheric chemist Susan Solomon has been awarded the Bakerian Medal for her research on polar ozone depletion and CRISPR pioneer Jennifer Doudna is awarded the Croonian Medal for her role in revolutionising genome editing. The Rosalind Franklin Award is awarded annually to those who raise the profile of women in STEM in their host institution and/or field of expertise in the UK. This year it goes to Essi Viding for her work in experimental psychology, which investigates the causes persistent of antisocial behaviour and the neurocognitive consequences of childhood maltreatment. Sarah Cleveland is awarded the Leeuwenhoek Medal for her pioneering work towards the eradication of rabies. For his beautiful and unexpected proof of Fermat’s Last Theorem which is one of the most important mathematical achievements of the 20th century. For his major contributions to laser physics and the development of the field of attosecond science. For their research on the ecology and evolution of Darwin’s finches on the Galapagos, demonstrating that natural selection occurs frequently and that evolution is rapid as a result. For his research on surface antigens of normal and leukaemic cells that defined the cellular lineage of different leukaemias and led to procedures now in routine clinical use. For his advances in the design and discovery of functional materials, integrating the development of new experimental and computational techniques. For his distinguished work elucidating the fundamental chemistry underpinning energy storage. For his outstanding contributions to computational biology, and their impact across many areas of the life sciences. For her outstanding structural and functional studies of RNA and ribonucleoproteins and for elucidating the molecular mechanism of the CRISPR-Cas9 system and developing it for genetic engineering. For her outstanding contributions in atmospheric science, in particular to the understanding of polar ozone depletion. 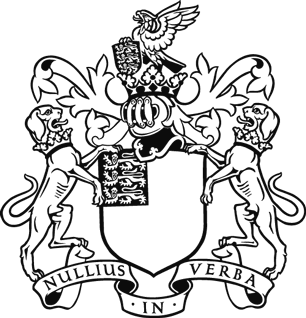 For excellence in communicating science to UK audiences. For her achievements in the field of experimental psychology, her ability to communicate with the public and her imaginative project proposal. In recognition of his research on cell signalling linked to neurodegeneration in Parkinson’s disease. For her pioneering work towards the eradication of rabies throughout the world. For her contribution to the theoretical and practical development of stochastic and quantitative model checking. For translation of his fundamental research into acoustics and its application many in areas including anti-microbial resistance, mine detection, foetal scanning, catastrophe relief, climate change and marine life. For her interdisciplinary interests in and communication of modern philosophy and science: particularly in relation to physics, and the thinking of Newton, Kant and Pauli. For his contribution to research into malaria control, in particular using intermittent administration of medicines to children in the Seasonal Malaria Chemoprevention strategy recommended by WHO.